A road novel fifty years before Kerouac, The Valley of the Moon traces the odyssey of Billy and Saxon Roberts from the labor strife of Oakland at the turn of the century through Central and Northern California in search of land they can farm independently—a journey that echoes Jack London's own escape from urban poverty. As London lost hope in the prospects of the socialist party and organized labor, he began researching a scientific and environmentally sound approach to farming. In his novel, it is Saxon, London's most fully realized heroine, who embodies these concerns. 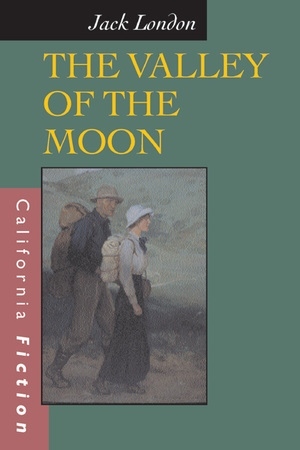 The Valley of the Moon is London's paean to his second wife Charmian and to the pastoral life and his ranch in Glen Ellen, the Valley of the Moon. Jack London (1876-1916) is best known now for his adventure stories such as The Call of the Wild, White Fang, and The Sea Wolf. Born in San Francisco, he grew up on farms and ranches in California and attended school in Oakland, worked both menial and adventurous jobs, and spent one semester at the University of California. He joined the Socialist Labor Party, but resigned just before his early death "because of its lack of fire and fight, and its loss of emphasis on the class struggle." Kevin Starr is California State Librarian and author, most recently, of The Dream Endures: California Enters the 1940s (1997).